Een week na de release van de PMDG 747-8 expansie heeft PMDG een update uitgebracht voor zowel Prepar3D als FSX. De update kan eenvoudig worden binnengehaald via het Operations Center. – 0007249: [Systems – Lighting – VC/2D] Panel lighting (backlight) too low during daylight (mfrantzeskakis) – resolved. – 0007229: [External Model – Geometry] Main gear hydraulick piston not placed correctly (jbrown) – resolved. – 0007238: [External Model – Geometry] Possible hole in -8f model (jbrown) – resolved. – 0007215: [External Model – Geometry] Side Cargo door opening speed (jbrown) – resolved. – 0007214: [External Model – Geometry] No lights in the main deck cargo (jbrown) – resolved. – 0007231: [External Model – Geometry] Landing lights no reflection on fuselage in FSX (jbrown) – resolved. – 0007222: [Systems – Hydraulic] RAT line missing from HYD3 in HYD synoptics page (rsrandazzo) – resolved. – 0007247: [EFB – General] EFB touchscreen does not register correctly the mouse position (mfrantzeskakis) – resolved. – 0007239: [Virtual Cockpit – Functionality/Click-Spots] CANC RJCT button fonts (vscimone) – resolved. – 0007245: [EFB – General] EFB Passenger numbers incorrect when KG option is selected (mfrantzeskakis) – resolved. – 0007244: [General – Unsure] Number of passengers in PAYLOAD page change when fuel is set (mfrantzeskakis) – resolved. – 0007233: [Virtual Cockpit – View Presets] CDUs and ECL view preset is not zoomable (mfrantzeskakis) – resolved. – 0007242: [FMS – Initialization] 8F Ident page not correct (mfrantzeskakis) – resolved. – 0007243: [Systems – Lighting – VC/2D] FLOOD/PANEL LTS DEFAULT LVL options on SIMULATION page reversed (vscimone) – resolved. – 0007241: [EFB – Performance and Computational] Wrong min/max takeoff weight values in EFB OPT calculation error message with OPTIMUM flaps (mfrantzeskakis) – resolved. – 0007237: [General – Unsure] ET/CHR digits displayed when loading default panel state (mfrantzeskakis) – resolved. 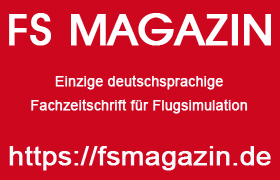 – 0007236: [Main Panel – EFIS Controls] INBOARD DSPL selectors in wrong position when loading the default panel states (mfrantzeskakis) – resolved. – 0007235: [Pedestal – Radios/Comms/Navs] TCAS mode switch in wrong position when loading the default panel state (mfrantzeskakis) – resolved. – 0007219: [Virtual Cockpit – Functionality/Click-Spots] Source Select Switches incorrect position during panel state load (mfrantzeskakis) – resolved. – 0007234: [EFB – General] CTD when scanning EFB airports (mfrantzeskakis) – resolved. – 0007216: [FMS – Setup/Options Pages] ELEC GEN OFF IS (CAUTION <-> ADVISORY) not saving (rsrandazzo) – resolved. – 0007228: [External Model – Geometry] Rapid change in FPS disrupts stability of engine pylon flex computation. (rsrandazzo) – resolved. – 0007224: [Virtual Cockpit – Geometry/Textures] Visible Seam (vscimone) – resolved. – 0007218: [External Model – Geometry] Several reports of missing landing gear on load (jbrown) – resolved. – 0007217: [General – Suggested/Missing Features] Reset engine EGT after shutdown to ambient temperature (aids quick ignition for -8) (emvaos) – resolved. – 0007221: [FREEZES – All Types] Several users reporting non responsive aircraft and frozen displays on departure (emvaos) – resolved. – 0007220: [Main Panel – Aural/Visual Warning Systems] SEATBELTS OFF (748 only EICAS message) does not clear when panel state loaded into 744 (rsrandazzo) – resolved. – 0007248: [General – 2D Panels] Background panel lighting for the Radio tuning panel in 2D pop up Inop (mfrantzeskakis) – resolved. – 0007250: [Virtual Cockpit – Geometry/Textures] INOP light in 8F cockpit (vscimone) – resolved. – 0007251: [Virtual Cockpit – Functionality/Click-Spots] Wrong mouse pointer symbol on STB power switch on 8 passenger (vscimone) – resolved. – 0007201: [FMS – Route/Legs Pages] FIX Page distance limit (mfrantzeskakis) – resolved.